Another Mystery To Solve And People Who Inspire. 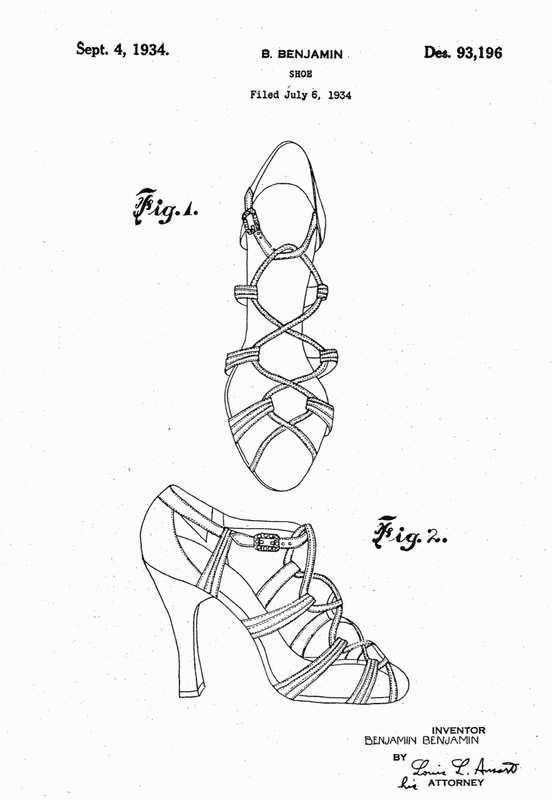 Looking for one of my grandfather’s shoe designs I previously found in Google Patents – It seems to have vanished? During my search I clicked on another patent from the same time frame hoping to find a connection. See the shoe above. I previously mentioned in an earlier post that I thought it looked very similar to a Jimmy Choo design. This time when I clicked on the link I noticed that the patent was indeed referenced by Jimmy Choo and also Hermes. Last summer I took a picture of this Salvatore Ferragamo shoe that also references my grandfather’s original design from 1934. So many years later and my grandfather’s designs are still living on. He was a true innovator in women’s fashion who deserves to be recognized for his creativity and ingenuity – the motivation behind starting this blog. As children he told us that when he couldn’t sleep he would lie in bed and imagine fantastic inventions he would create, an orphan that chose the shoe business out of practicality. Forced to leave school at 13 he rose to be one of the biggest shoe men in New York and even after he retired to Florida was appointed by The Secretary of Labor to represent the US in labor relations in Puerto Rico, the date still a mystery I’m trying to solve. I can only imagine what he would have done with his creativity if the playing field had been more level for him. With my own child starting middle school this fall I toured some of the top-tier NYC private schools – even though I questioned how we would ever pay the 45k yearly tuition. In the end we chose public with our eyes wide open that the playing field in education is indeed not level but there are those that like my grandfather will make it no matter what hand they are dealt. Like my voice teacher Betty Allen whose mother died when she was also 12 and who like my grandfather shared a similarly grim childhood overcoming insurmountable obstacles to live a life that most of us can only hope for. 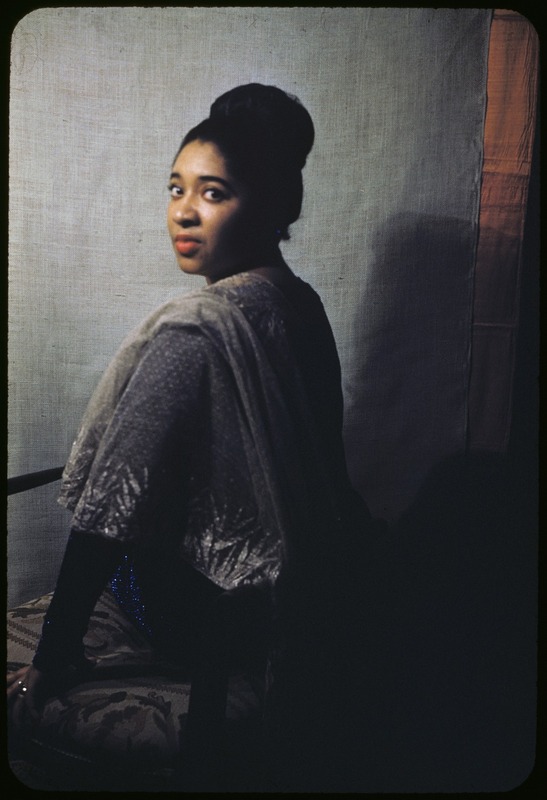 Mezzo Soprano Betty Allen, 1958, Photo by Carl Van Vechten. And like my grandfather she also made her own way. Betty told me after her mother died her father drank and wasn’t taking care of her the way she was use to by her mother so she took the bus to the courthouse in Youngstown Ohio where she lived and told the judge she wanted to be adopted. Since there were no orphanages for black children she was put into foster care where she was made to work and abused and when she was 16 she moved into the YWCA cleaning houses to support herself. Eventually on scholarship she attended Wilberforce College in Wilberforce, Ohio, crediting her success to her teachers. These are the stories that inspire me. Maybe because I’ve never had to really want the way they both did. – Again my search for a shoe led me back to why I want to share my grandfather’s story and remember. § 4 Responses to Another Mystery To Solve And People Who Inspire. Love the story. Thanks for sharing! Thank you so much for commenting and for stopping by. You are currently reading Another Mystery To Solve And People Who Inspire. at Women's Footwear in America.